So, for years my son has asked for a pet. He knows to stop asking about cats after he's learned about allergies. I've always said I would feel terrible getting a dog, let alone a young puppy, to show it affection and then be all "okay, going to work see you in 10 hours or so". And then the summer time, I try to be less home as possible, get out there and enjoy the good weather when we can. If we can't bring that puppy, I'd feel pretty bad. Well, Petnet has a new smartfeeder that will let you operate it remotely, so at least the poor soul can get fed while away. Now, keep in mind that this $150USD feeder is only available in the states, so us Canadians shouldn't worry, but I've put us on their radar. 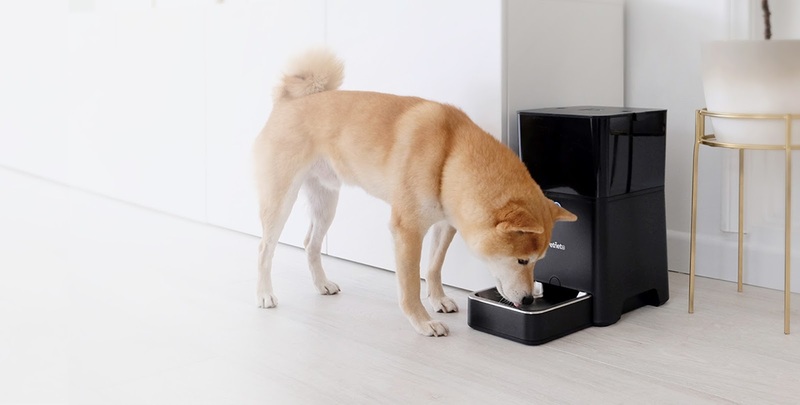 So, you load it up with food and you can control how much the portions are (in case you're watching your pet's calorie intake) and either have it manually set out or automatic. Pretty neat. To top it off you can have it set up with Alexa even. So, you have any pets that you'd like to ensure they get fed on schedule, even if you're not?